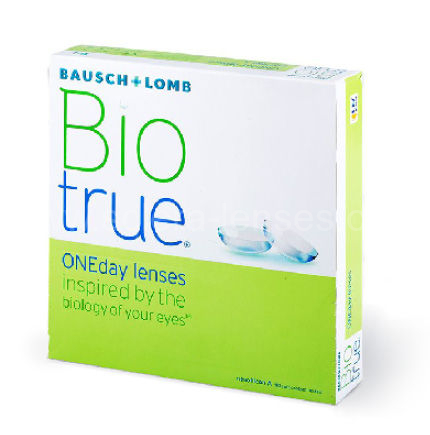 Biotrue® ONEday contact lenses are a daily disposable lenses manufactured by Bausch + Lomb. They are made from a next generation, bio-inspired material called HyperGel. They feature the same water content as the cornea, 78%, to support incredible comfort. They offer exceptional breathability for white, healthy eyes and also provide sun protection by blocking harmful ultraviolet rays.